And more all available for rent nationwide by the day, week, or month. 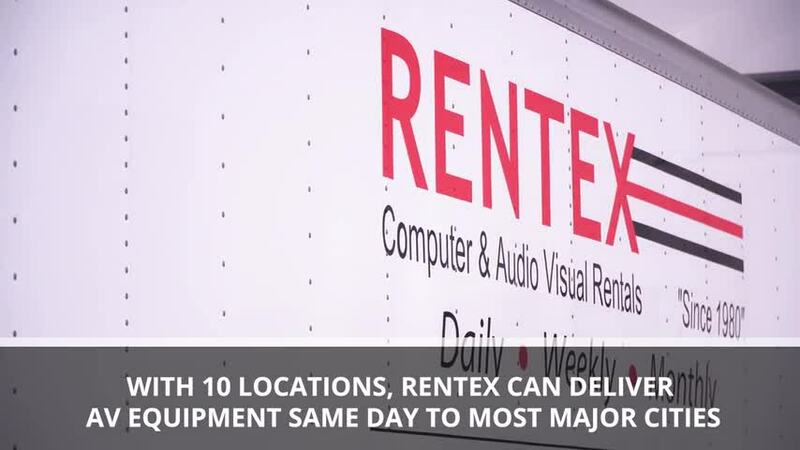 Rentex can deliver to most cities in the US same-day and we provide you with exceptional service and a large selection of audio visual rental equipment. Maintenance and technical support are free during your entire rental and on-site technical support is also available. For the lowest rental rates with over 35 years of outstanding customer service and the highest quality equipment, Rentex is your best choice for all your production, AV, and computer rentals needs.